How do you know when a sales lead is ready for you? Every company’s process is different, and some small businesses will break down the category even further beyond qualified leads, divvying them up between marketing and sales leads. But a few aspects are universal, because qualifying your sales leads is a critical part of the sales process. That moment happens after your lead has entered the widest point of your sales funnel, and you’ve drilled down to a point where they can make an informed decision to buy your product or service. 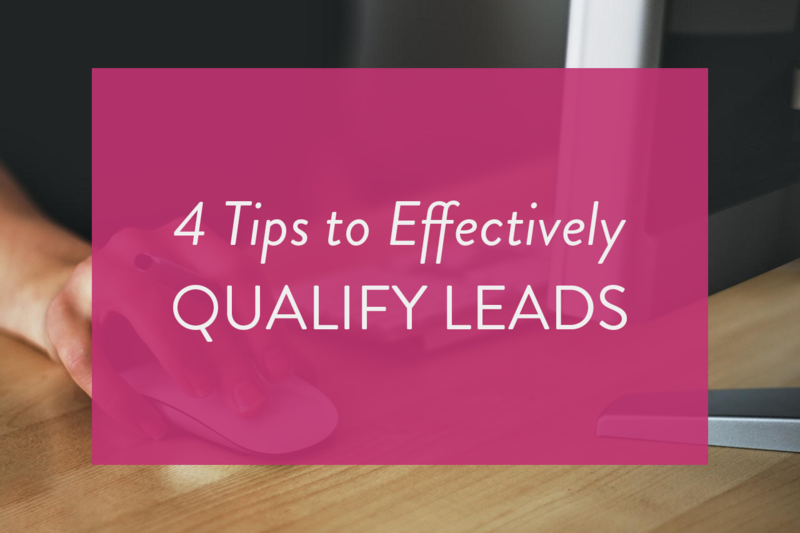 When it comes to gathering sales leads, it’s not about quantity—it’s about quality. And the best way to generate quality leads is by digging deeper into your company data. Here are some tips for doing that. If you want to know which marketing avenues are working, it’s almost inevitable that you’ll reverse-engineer your strategy. You should record the referral path of every sales lead who contacts you, whether it’s by banner advertising, search engines, Google Adwords, social media or any other route. You’ll notice trends and begin to understand what’s working—and what areas you could improve upon. This is valuable not just for maintaining a clear line of communication with your leads (e.g. if they found your product because they searched for “PPC agency,” you immediately know they’re not necessarily interested in your graphic design offerings), but also because it will save your company money and help hone your marketing strategy. Tracking each referral source means you can clearly see which sources are working and which aren’t, so you can stop wasting time and money on inefficient keywords or under-performing advertisements. Your marketing and sales teams should always be in contact with one another. If they’re not on the same page, folks in the marketing department might start sending qualified leads off to the wrong person in sales, or sending leads that aren’t ready down the sales funnel, turning them off for the future. It’s shocking how many small businesses don’t establish what “qualified leads” even are, or how the sales funnel process should look. Be sure to clarify from the onset what terms you’re using and how your teams should be communicating with one another. Have regular sit-down meetings to evaluate how the process is going, and ask around to figure out ways to smooth our any potential problems. You should be continually measuring and analyzing your processes, otherwise you’re throwing your efforts into a black hole and crossing your fingers for the best. If someone is reaching out to you with interest, why would you leave them hanging? They’re effectively knocking on your door and asking to chat. Try to keep your turnaround time to no longer than 48 hours—24 is even better—and keep your sales team on their toes with ways to answer most questions in a friendly and comprehensive way. Of course, some leads can get turned off by a rapid fire response. Your sales team should be able to gauge that initial responsiveness and deploy an effective nurturing strategy that allows for more casual follow-ups down the line. Making a quick first contact is great, but it’s the subsequent moments of contact that will make or break your business in the long term. There’s only one way to combine all the information outlined above—you need an excellent customer relationship management tool. It’s the only way to cleanly organize your data, dividing leads into various categories and eventually customers. You can track all their interactions with your company so your sales and marketing teams aren’t doubling over the same information, irritating them into not returning. You can also move unqualified leads into their own category, enabling your team to keep in touch while acknowledging that they aren’t ready or interested in what you’re selling right now. The best CRM software will enable you to go a step further, too, integrating your email marketing and data tracking analysis into the same bundle, so you can distinctly segment and communicate with leads whom you have a certain relationship—say, at the beginning of the sales funnel instead of the end. It’s this kind of individualized relationship that makes your lead generation as efficient as possible.